With a tie against top-ranked Archbishop Curley last week and an undefeated record, No. 4 C. Milton Wright came into Monday’s home boys’ soccer clash with No. 2 McDonogh teaming with confidence. A goal in the 10th minute by Ryan Belfiore only bolstered the Mavericks, as they took a 1-0 lead to the half, but the Eagles stayed calm and rallied with two second half scores to prevail, 2-1, on a damp muggy evening in Bel Air. Belfiore took advantage of a McDonogh turnover in the back end to shoot and finish, giving C. Milton Wright its early advantage. The lead stood up all the way until the 63rd minute when the Eagles got the equalizer with a great individual effort from Jake Steinberg. The Mavericks appeared ready to go to overtime for a second straight time against a MIAA power, but Casey Settleman, one of the area’s leading goal scorers, dashed those hopes when he netted the game-winner for McDonogh with just five minutes to play. Settleman now has 14 goals and six assists this season. 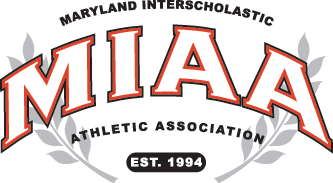 As Quaranta alluded, McDonogh (13-2) now returns its attention to MIAA A Conference play as the Eagles will host No. 12 Calvert Hall on Wednesday, the start of four straight league games to close out the regular season. C. Milton Wright (7-1-2) also will now concentrate on its league schedule in the UCBAC Chesapeake Division, traveling to No. 15 Fallston on Wednesday. Pictured above: McDonogh’s Casey Settleman scored his 14th goals of the season on Monday to lift No. 2 McDonogh to a 2-1 road win over No. 4 C. Milton Wright.